Live in downtown Toronto's Church and Wellesley neighbourhood, where transit, culture and every urban convenience is within reach. Coming soon to the dynamic corner of Yonge and Carlton, this is a pre-construction condominium development proposed by Northam Realty. 2 Carlton Street Condos is slated for occupancy in 2022. This project brings together an ultra-modern tower reaching 73 storeys, an innovative, cubic-design by IBI Group, parkland and a prime downtown location where we've seen a significant amount of growth and transportation. 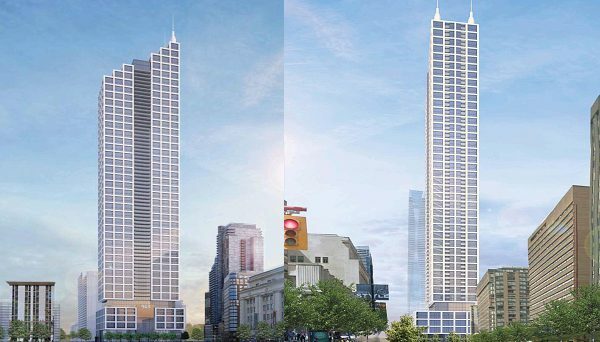 Rising 73 storeys on the northeast corner of Yonge and Carlton, the tower is proposed to house 1,046 residential units, with a mix of approximately 51 percent one-bedroom, 41 percent two-bedroom and eight percent three-bedroom units. A striking podium with cubic-inspired architecture will house two floors of office space and two floors of retail, along with 162 parking spaces in an underground garage. The tower's design will be marked by two-storey-high white cubes, which form a grid-shape, interspersed with floor-to-ceiling windows. It's a bold design that will be immediately distinguishable on the stretch, while offering residents dazzling views of downtown Toronto and beyond. Widened sidewalks around the development and a small stretch of parkland along Carlton are also proposed, enhancing the streetscape and increasing value for the whole block. The Yonge and Carlton area has so much to offer, whether you’re looking to invest in real estate, call the heart of downtown your home, or both. 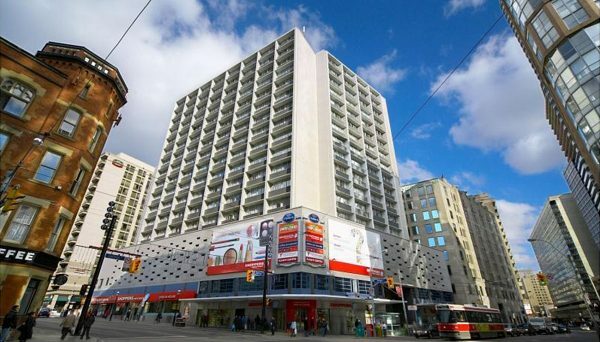 Everything you need is steps away, including an 85,000 square feet market-style grocery store, the newly-renovated Eaton Centre, coffee shops, commerce, hospitals and world-class cuisine. Some of Toronto’s most eclectic neighbourhoods are within walking distance, including the vibrant Church/Wellesley Village and Yorkville, an upscale shopping and dining district. The Financial District, where it’s estimated 200,000 people work every day is only two subway stops away and the site is within walking distance of both Ryerson University and The University of Toronto, all of which provide a potential tenant population. 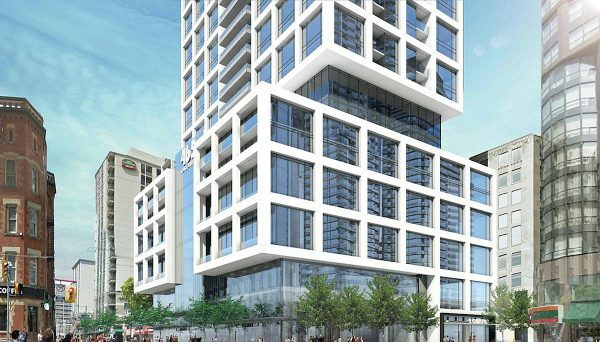 This new condo building will be located directly above a subway station and major streetcar stop, making it easy to access the entire city whenever you need to. The surrounding area is also part of the city’s Downtown Yonge Street Improvement Plan, which aims to explore design options for the urban streetscape, and consider public realm improvements. This will increase pedestrian space and ensure the downtown core is vibrant, clean and liveable on a long-term basis. This gives downtown Toronto pre-construction condos not only an excellent market value but an excellent return on investment.